Most moms will agree that time to ourselves is a rarity. We don’t get to have too much time on our own and even heading to the shops for food or going into the bathroom can feel like a welcomes escape. However, there are moment in the day where there is an element of peace and calmness, that's at night when we go to bed believe it or not. However, your bedroom can probably be a place that is the least desired room in your home, possibly because you are more likely to invest your time in other areas of your home. But it can be quite easy to inject some love back into your own bedroom. I thought I would share with you some of the ways you could do it. One of the first things to address would be the place you sleep. When was the last time you replace your mattress, your bed, and your pillows? The chances are not for some time, but this can be a rela hunderence to the quality of sleep you get. As a parent, you may be used to broken sleep, but the time you do get to rest should be of the best quality. This is when a little research into the best types of pillows for how you sleep and the right sort of mattress to give you the comfort you need could work in your favour. Investing in this area alone could help you feel more relaxed and wake up feeling more energised. The next thing you need to consider is the soft furnishings and accessories you have in your home. Could you improve them in any way? Could you add a bit of colour or your personality to the room through your choice of soft furnishings? Sometimes it is the simple things like new bedding and cushions on your bed that can make the biggest difference to how a bedroom looks and feels. A tidy house means a tidy mind, and the same can be said for your bedroom. But the chances are you use your bedroom as a bit of a dumping ground or a room that has multiple uses, am I right? So you may want to think about decluttering and also looking into new storage solutions to keep the room tidy. It will help you to relax your mind at night when you really need some rest. Finally, scented candles are a great way to add some ambience to a room. The scent itself could be relaxing if you chose a lavender or chamomile which could aid with your sleep. Candles offer a soft glowing light, which can also be relaxing, and can help you to feel at ease when you eventually allow yourself to retire to bed. 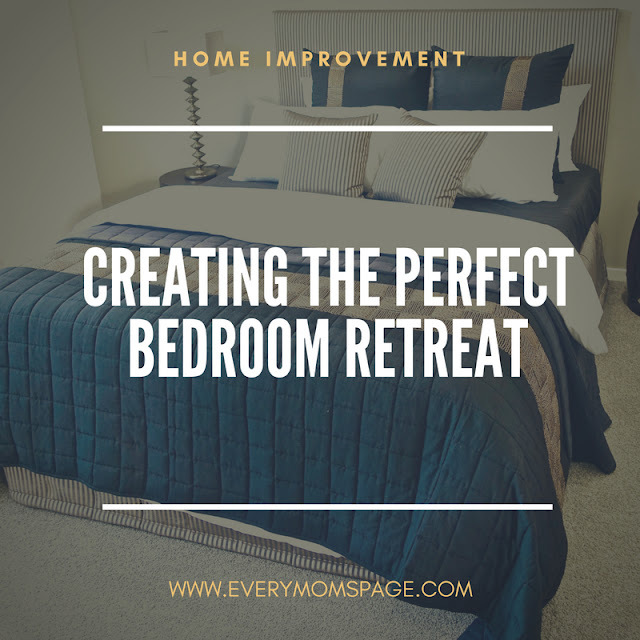 I hope these tips help you to create the perfect bedroom retreat in your home. How to Choose a Mattress That Is Truly Non-Toxic? What Are the Benefits of Wearing a Bra to Sleep?